Forest Of The Rain Productions: What is the one/biggest educational memory/moment for you in 2016? Kris Giere: In 2016, my classroom was filled with students who worked to make one another feel welcome and included. They truly built a sense of community, and I am very proud of each and every one of them. Little makes me happier than when my students feel as though they belong. Forest Of The Rain Productions: What is your hope for education and educators in 2017? Kris Giere: My hope for education in 2017 is that we take tangible steps to dismantle the fallacy that fair means equal and leave behind that the constructs of standardization, zero tolerance, obedience training, and forced assimilation to move toward an equitable and a growth oriented institution that benefits all regardless of their proximity to privilege and power. 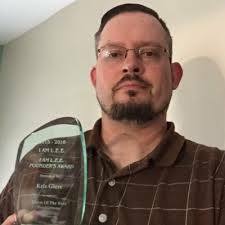 Kris Giere received a Master of English degree from Indiana State University in 2008. He has taught at four-year and two-year institutions in both Indiana and Colorado, specializing in developmental education, at-risk students, and remediation. 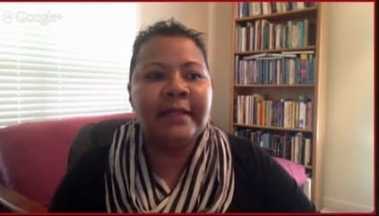 Michelle Howard-Vital, Ph.D. is a positive social action advocate. Dr. Howard-Vital is widely known throughout higher education as a leading thinker in the areas of leadership, and strategic planning. She is highly sought after educational consultant. Michelle Howard-Vital, Ph.D.: My memories of education in 2016 reflect the growing discord, intolerance, and violence that are becoming too commonplace in our schools, colleges, and universities. We have all seen increased coverage of growing intolerance of diversity, of sexual assaults on college campuses, of gun violence in secondary schools, and examples of students disrespecting other students in educational institutions around the country. It is my hope that education, particularly higher education, prepares graduates to create a more tolerant world by exposing them to knowledge, diverse viewpoints, and tolerance of complex world views, cultures, and ideologies—expanding diplomacy. Michelle Howard-Vital, Ph.D.: My hope is that educational leaders at all levels will work tirelessly to produce champions for equity and justice for all Americans. 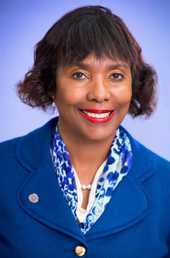 Dr. Michelle Howard-Vital has been a life-long learner and has served in higher education for over thirty years. She earned her undergraduate and graduate degrees at the University of Chicago. Her doctorate is in Public Policy Analysis from the University of Illinois at Chicago. Dede Faltot Rittman: My biggest educational moment for 2016 happened after my presentation to a group of student teachers at a local university. When I arrived home from the 2 hour drive from the university, an email was awaiting me from a student teacher who had been in the audience. She was not only ill, but also disheartened by her experience in the classroom. The email said that she felt that she should attend my presentation, despite her illness, and that my talk and energy had given her the renewed hope and idea of what it truly means to be a teacher. I was so humbled to know that I am still able to make a difference for young people, and that the thing I love best - teaching - continues to impact young lives. Dede Faltot Rittman: With the number of educators who are quitting the profession, and the lower enrollment of Education majors nationally, my hope is that young people will have a wake up call which will guide them to the profession that creates all professions - teaching. I hope young people will think about those teachers who had such a profound influence on their individual lives, and know that they, too, could emulate their mentors and become teachers who care and give and love. Karen Gross is the former President, Southern Vermont College; she is also an Author and Commentator. Karen Gross, J.D. : I think the one biggest educational memory for me is also the biggest disappointment: how leaders responded to students, including student protesters. I spent much of 2016 stunned by what leaders of colleges and universities did in response to student concerns and in terms of their own professional choice of words and behavior. It is as if far too many leaders forgot that the goal here is to help students grow and flourish. My list of disappointments is long, exacerbated by the lack of leadership self-awareness. Sad for me that leaders can't recognize their own errors and self-correct or correct with advice and wisdom from others. Indeed, as we bring in leaders from outside the academy (which is good), we need individuals who know enough to know what they don't know and are open enough to asking questions and listening well and carefully. Institutional cultures are different. What worked in one setting or one institution may not work in another. Without naming names, venture capital culture is not academic culture; one Ivy is not the same as another Ivy. Leadership is hard. Leadership demands one bring one's best self to the table every da and it also requires that one be sufficiently self-aware that one can see one's own foibles and if needed apologize for decisions or actions that, upon reflection, were neither wise nor well-thought out..
Karen Gross, J.D. : While much (not all) of my experience is in higher ed, my hope is that we will see the value of early childhood education and the early grades. There is a difference that can be made in those years that has staying power and can help children progress through high school and into post-secondary education. If we don't shore up that foundation, we are forever playing catch-up. But, that hope is not so easy to realize upon and it demands that we do things differently, that we break down silos across the educational landscape, that we respect and train the teachers of our youngest children with fervor and pride. It cannot be that the weakest teachers go to the lowest grades and the weakest schools. Teacher turnover is devastating for many kids. Why not, in addition to improvements suggested above, consider increased looping and thematic learning? We need to do better with younger children -- otherwise, everything else is a sophisticated form of bandage wrapping. Our future rests in the hands of kids -- young kids. We own them a quality future. That's the least we can do for them, for our nation and for the world. In Spring 2016,Karen Gross was a visiting faculty member at Bennington College in VT. She is also an Affiliate of the Penn Center for MSIs. She has just published a children's book titled Lady Lucy's Quest (Shires Press; 3/29/16 pub date) and the Lady Lucy Activity Book for the Curious and Creative will be out 6/30/16. Visit website at www.ladylucysquest.com. I also have a forthcoming book on student success being published by Columbia TCP titled "Shoulders to Learn On." Dr. Jo Ann Neal is a caring, enthusiastic teacher with a strong commitment to student development and the learning experience. Dr. Jo Ann Neal: My most memorable educational moment in 2016 was when I taught my sixth grade students about the Egyptian Pyramids at Giza through the use of historical documents. Fascination and excitement began to build about the construction of the pyramids. The students were totally engaged in historical inquiry. After the lesson, a student raised his hand and said, “I want to become an archeologist when I grow up.” Being able to see my students share my passion for history is amazing! Dr. Jo Ann Neal: Educations officials should continue to address the achievement gap between the economically advantaged and disadvantaged students through programs of academic excellence that blend traditional and innovative teaching strategies, differentiate instruction, and incorporate technology. Furthermore, it is imperative that education officials collectively strive to enable all students to become life-long learners, critical thinkers, effective communicators, and wise decision makers while being prepared to succeed in an information age characterized by constant change. 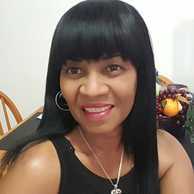 Bio: Jo Ann Neal received a Bachelor of Art in English and Elementary Education Certification from New Jersey City University, a Master of Science in Education from Walden University, and a Doctorate in Education from Walden University. She is presently teaching middle school history with the integration of language arts. Dr. Sairah Qureshi is a renowned scholar and researcher in the area of bullying. She is the author of Bullying and Racist Bullying in Schools. Dr. Sairah Qureshi: My hope & goal for educators and for education in 2017, is to continue to research!!! Go out and find answers to the questions you have, broaden your knowledge further by the research and collaborate with other professionals!! For example, where it comes to issues on bullying, don't just idly sit back & think the school is doing enough. ...go & see what is occurring in schools in other states, other parts of the world. ...think how can I/we do better, educate yourself further. ..even by talking to the students themselves! When we hit a brick wall in education. ...then we realize we are in trouble!!! 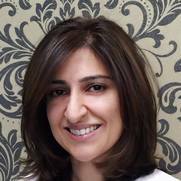 Dr. Sairah Qureshi is the founder, creator and director of Action Against Bullying, LLC, established in March 2015. ​​Dr. Donna Y. Ford is a distinguished scholar, researcher and author. Dr. Ford is an expert on gifted education and urban education and has written over 100 articles and book chapters. Dr. Donna Y. Ford: To be quite blunt, I do not believe that 2016 was a good year for students of color, especially Black students. Social injustices reared their inhumanity in school settings even more than in previous years. Specifically, the school-to-prison pipe gained momentum with excessive and radicalized discrimination in discipline - the suspension and expulsion of not just Black males, but also Black females. Relatedly and quite disturbing is that Black male preschoolers, children barely out of diapers, were (are) being suspended at rates that I, as an educator, mother, and grandmother of a 5-year-old grandson, cannot even make sense of. Black children represent 19 percent of preschool enrollment, but 47 percent of preschool children receiving one or more out-of-school suspensions; in comparison, white children represent 41 percent of preschool enrollment, but 28 percent of preschool children receiving one or more out-of-school suspensions. Black boys represent 19 percent of male preschool enrollment, but 45 percent of male preschool children receiving one or more out-of-school suspensions. ​Educators are suspending Black students for subjective reasons (e.g., feeling intimidated, student viewed as disrespectful, students not following rules in the teacher’s opinion) more than for objective reasons (e.g., smoking on school grounds, defacing school property, hitting teacher). White students are not penalized to the same extent, even for harsher infractions. The inequities in schools reflect/mirror much that takes place in the criminal justice system. How can anyone — educator, administrator, policy maker, parent/caregiver — not see this as a critical problem that violates students’ right to an appropriate education - one free of discrimination and should be protected by Civil Rights laws? My interpretation - our children are convicted in the womb, as Upchurch’s book noted years ago. My heart is heavy also hearing that Missouri may implement policies that make bullying a felony (http://www.businessinsider.com/missouri-law-could-make-school-bullying-a-felony-2016-12). Black children will be most affected; the most penalized. Report after report demonstrated racism is operating when it comes to disciplining Black students at all age levels. The policing of Black students seems to preempt their education and schooling. Dr. Donna Y. Ford: I really want to be optimistic, but that will take effort. With increasing acts of hate throughout our society and within our schools during and after the 2016 election, it is clear equity-based progress will be slow or slower… and may move backward. I want to see an increase of Black students in gifted education and Advanced Placement classes, fewer in special education, and fewer pushed out of schools. I want educators to be held accountable for injustices. I want educators to receive extensive and continual training to be culturally competent professionals. I want more educators of color in classrooms, and leadership and policy making positions. This is what I want, and what our children need and deserve. Donna Y. Ford, PhD, is Professor of Education and Human Development at Vanderbilt University. She is the former Betts Chair of Education &Human Development, and currently holds a joint appointment in the Department of Special Education and Department of Teaching and Learning. Daniel Losen. J.D. : Secretary of Education King, a charter school founder and student who had once been suspended admonishing the National Association of Charter Schools for embracing harsh discipline and acknowledging that charters tend to suspend Black youth and students with disabilities at rates that tend to be higher than non-charters. And specifically his statement that "no excuses" was supposed to be about the adults and not the children. 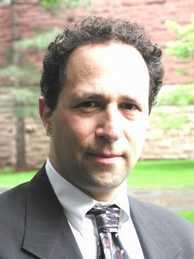 Daniel Losen, J.D. : Somehow to resist the appointment of DeVos as Secretary of Education and to resist/mitigate the anti-civil rights message of the incoming Trump administration by state educators and advocates becoming more effective at the state level in fighting for equity in educational opportunity. 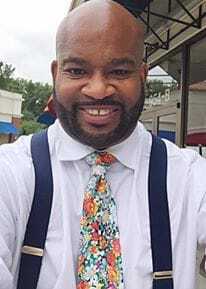 Dr. Kyle Randolph Bacon is an educational recruiter, award-winning teacher, and former principal who completed his doctorate in educational leadership. Dr. Kyle Randolph Bacon: The greatest educational memory of 2016 was sharing and creating a safe and healthy space for my 8th-grade students at Accokeek Academy to achieve their academic goals, share their dreams, fears, and hopes, and become well-rounded students. In the midst of creating a healthy learning environment, we held several morning meetings for students to share their thoughts before commencing with guided practice for the day. Several poignant and funny topics surfaced including: who makes the best chicken locally, their funniest barbershop experience, and their transparent reactions to the 2016 election. This sacred space created an environment of mutual trust and respect coupled with a collective willingness for everyone to give their best. In this space, everyone has had their own individual voice and has felt safe to grow from mistakes, laugh, and reflect on their growth. Their spirit reminds me of my WHY; to serve as their teacher, provide quality rigorous instruction, and, more importantly, leave a lasting impression on their adolescent years. Dr. Kyle Randolph Bacon: For 2017, I would like to see our students grow exponentially with their mastery of their 8th-grade mathematical concepts as they ascend into high second. Many of our students have demonstrated their willingness to strive for excellence, seek additional resources in supporting their retention of the various content standards, and involve their parents in their educational process. As our students grow, as educators, we too must grow to meet their educational and psychosocial needs. Through these healthy relationships, students can gain healthy self-esteems and prepare themselves for their impact on the workforce in the 21st century. In addition, I would like for our students to become socially conscious and aware of pertinent issues directly impacting their future. Many have expressed themselves through song, dance, and arts integration in our school and have continued to blossom into their true selves. Dr. Kyle Randolph Bacon: finds diverse candidates who will be top performers as teachers and school administrators. He has the proven ability to perform well within deadlines and in high-pressure situations, as well as the skills to mentor individuals to achieve their personal best. 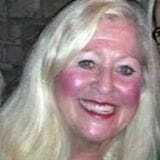 ​Phyl Macomber is the first I AM L.E.E Ambassador for Forest Of The Rain Productions. She is also widely known as an Educational Specialist and is the Author of T.H.E. P.A.C.T. Phyl Macomber: I have served children with disabilities for 28 years and train educators in meaningful inclusionary practice. Reflecting back on this year, I remember walking into a 4th grade classroom and observing Julia, a student with special needs, leading a Native American classroom lesson with such knowledge and confidence. Her parents came in to observe and looked with awe at their daughter in a leadership role for the first time. All adults in the room, including myself, had tears in their eyes. What a wonderful example this was of seeing firsthand the concept of “always assume competence” in action! Phyl Macomber: The myth in education is that our students with disabilities need much different teaching strategies than those that could be delivered in the general studies classroom. My hope for educators in 2017 is for them to realize that the effective, research-based teaching strategies used to serve students in special education work with ALL the students in an inclusive classroom. Phyl T. Macomber, M.S. 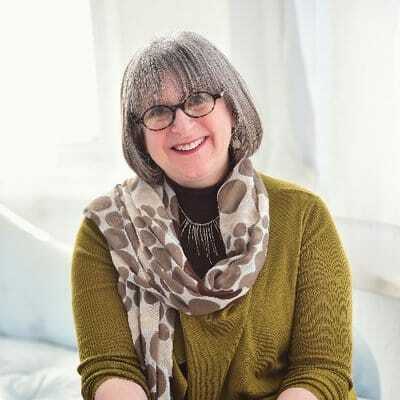 ATP, since completing a fellowship at Johns Hopkins Hospital’s Kennedy-Krieger Institute in 1988, Phyl Macomber has become an award-winning national speaker, author, inclusion specialist, and curriculum strategist. The public-school system was designed to provide access to free education, to ensure equal opportunity for all students, to encourage unity between diverse populations, to promote active participation in democracy, to foster economic self-sufficiency and to improve social conditions for all. As supporters of the public-school system, we must learn from the ideals of the founders of public education. Although many public schools are currently falling short of expectations, especially with the African American student population, the overall numbers show that the public-school system is effective. With this being said, of course we must address schools that are ineffective which are most often located in urban areas and most often service African American Students. But addressing these issues does not imply we dismantle the current public school system. A framework for public education has been created which gives schools something to work towards. Dr. Shanelle R. Benson Reid: My hope is that the current public school system be reformed thereby meeting the needs of African American students, as well. In summary, public schools must be accountable to the communities they serve, but these communities must also be accountable to the public school system. This requires a coming together in support of the public-school system by showing compassions for our broken communities, standing together in solidarity, engaging in dialogue, and advocating for equitable public education for all students. Championing Equity in education for African American students brings equity in society for the African American Populace. Our students are depending on us, our communities are depending on us. Public schools matter yet they continue to be the challenge. 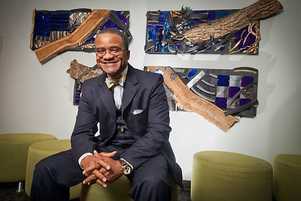 Dr. Benson Reid earned a Bachelor's degree in Sociology from California State University, San Bernardino (CSUSB) and a Master's in Education (Special Education Option) from CSUSB as well. Dr. Reid earned her Doctorate from the University of La Verne in Organizational Leadership. ​Principal Rashid Faisal, M.Ed., Ed. M. is the founding Principal at Frederick Douglass International Academy. He as served as an educational leader for over 11 years. Principal Rashid Faisal, M.Ed., Ed. M.:The biggest educational moment of my career happened this year. I am facilitating a research project with a group of eight students ranging from fourth through sixth grade. Watching these students develop the ability to engage in collaborative research, make inferences, interpret findings, analyze conflicting textual information, reach conclusions from multiple sources of information, support arguments with evidence, engage in accountable talk and constructive debate, and generally think deeply about the topic of our study was truly a gift I will cherish for the rest of my career. Principal Rashid Faisal, M.Ed., Ed. M.: One of the greatest misfortunes of the American educational system is that many students, particularly those classified as low-income, minority, and first-generation college students, graduate from high school without a strong believe in their ability to succeed in college. My greatest hope is that school leaders across the nation will galvanize resources around building these students’ academic agency or what Dr. Donna Ford and Dr. Gil Whiting define as the scholar identity. This is important because college readiness includes the mastery of academic content and vocabulary; ability to think deeply on a variety of topics; demonstration of academic behaviors and social skills; and, understanding of the college process and context. Too often children classified as low-income, minority, and first-generation college students are not given access to these facets of college readiness. My hope is that educators across the country will prioritize this problem and leverage the necessary resources to ascertain how well all students are being prepared for post-secondary pathways. Marcy Webb is a 23-year career Spanish teacher in independent schools. Marcy Webb: The events of 2016 have made me truly grateful for and appreciative of my students. They teach me so much about patience, imperfection, and acceptance. Marcy Webb: My hope for education and educators in 2017: Remain hopeful. There is truly beauty in what is often an ugly world. Spanish teacher, middle and upper school. Marcy Webb is a 23-year career Spanish teacher in independent schools. I currently teach Spanish at Watkinson School, an independent school in Hartford, CT, where I have been since 2005. 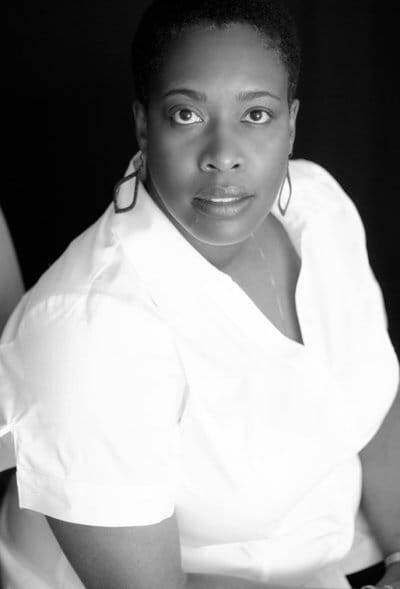 She is also a writer, and workshop presenter and facilitator. Dr. Pamela Felder believes that an understanding of the doctorate has tremendous implications for learning and/or addressing many areas of higher education that have been viewed historically as problematic. 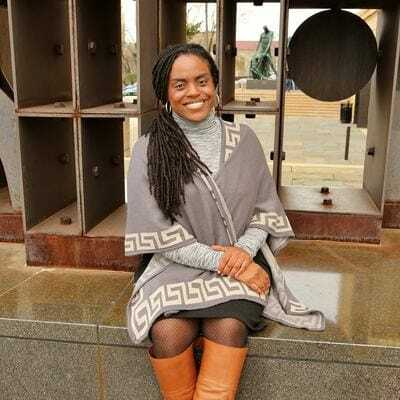 Dr. Pamela Felder: One of the biggest educational moments in 2016 was seeing the Black Doctorates Matter blog being acknowledged by Forest of the Rain Productions on its top ten trending topics list. We are honored by this recognition and look forward to sharing research and observations about the historically marginalized doctoral students in the future. Dr. Pamela Felder: My hope for educators in 2017 is to find additional ways to acknowledge research and practice focused on the historically marginalized doctoral experience. Dr. Pamela Felder’s research focuses on the racial and cultural experiences associated with doctoral degree attainment. She is committed to enhancing models of doctoral student socialization. Sonya Sloan M.D. offers sound advice for us all "Nothing in life comes easy but it does come with the intention of bringing us to our destiny.I have lived by the quote, "If you want to hear God laugh, make a plan"! With that in mind, I believe that each of our lives is purposed to help those around us. Thus our legacy is simple...pay it forward and change the world by our life's story". ​Forest Of The Rain Productions: What is the one/biggest educational memory/moment for you in 2016? ​Sonya Sloan M.D. : Learning that failure is a necessity to build character and tenacity. 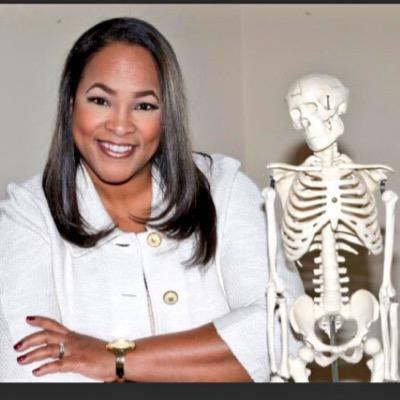 Sonya Sloan M.D. : Be relevant and think outside of the box to be able to reach all students of any situation from all types of learning backgrounds.